It isn’t always easy supporting the homeless. Yesterday, I sat with a group of students who care, who are giving up their Sundays and Spring Break to help people in need. Nonetheless, as we took a break, the conversation turned to interactions with homeless people and others who ask for money. One young woman had been verbally abused after giving a homeless man some change from her pocket. He told her that she should have given more. Another told how a man had asked her for money at the BART station. She offered to buy him a ticket for the train and his response was something like ‘that’s really gonna buy my next hit’. A third woman told how she was approached by a woman who told her she was hungry. Having just left a restaurant, she offered the woman her box of left overs, enough she told us, to feed herself for lunch the next day, and the woman tossed the food on the ground. How do we deal with these situations? We think we are helping and maybe we are. Perhaps we wonder if we are subsidizing a bad habit, or reinforcing their staying on the street and out of the system. One way is to support organizations that help the homeless in an organized way. Project Homeless Connect is a great example. Another way is to advocate for social services and enough housing to cater for those who slip through the net. A while ago, I gave a man enough money for a bus after he told me a long story about being a recovering alcoholic. His sister lived near where we were standing, he was supposed to stay with them for the weekend, and her husband was taunting him by bringing out bottles of alcohol and drinking in front of him. He had to get home. He had run out of her house and left his bag and wallet. He would pay me back if I gave him my address. I gave him the money and told him to help someone else rather than return the cash to me. I did this, if I am being honest, because I didn’t want to give my address and yet wanted him to feel that I wasn’t giving him charity. When I entered my house, I told my wife, though the main theme of my story, was had I just been conned. I agonized about it until she told me to decide that I had helped someone and move on. Apparently, since I am telling you this story now, I haven’t. Finally, a nice story. 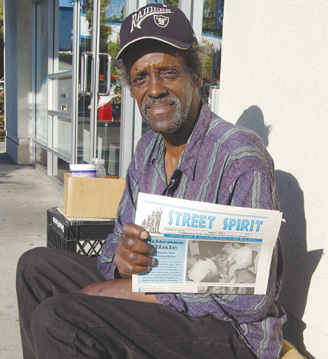 I often give money to homeless people who are selling the newspaper Street Spirit. I figure that they are trying to earn a living and I want to support their dignity. I gave my sons $1 and told them to buy from a man standing on Shattuck in Berkeley. The man told them that he was a poet and had a poem in the paper. My (then) 7-year-old was intrigued and proudly told the man that I am an author and we shook hands. Having seen me sign books for my readers, my son then asked the man to autograph the poem and both their eyes lit up when they did. I wondered if he really had written the poem. I want to believe that he did, that there a moment of magic passed between this old man and my son. 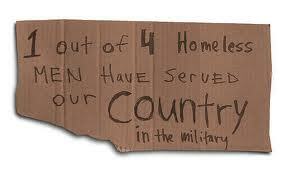 It helps me to continue to advocate or the rights of the homeless and the poor. Perhaps, the magic helped me as well.